The Cistus x corbariensis evergreen mounding rockrose is one of the most attractive species in its genus. This is the perfect plant for someone who is a new gardener, as they thrive on neglect! White rockrose looks beautiful worked into perennial borders, specimen planting, or even as a foundation planting. The foliage has a rough matte texture with ovate leaves typically no larger than 1.5” in length. Foliage is softened by beautiful red tinged buds in early to late spring that follow with white flowers and last through fall. These lovely 5-petaled flowers are typically 1.5” in width with yellow spots at the petal base and have yellow reproductive parts. 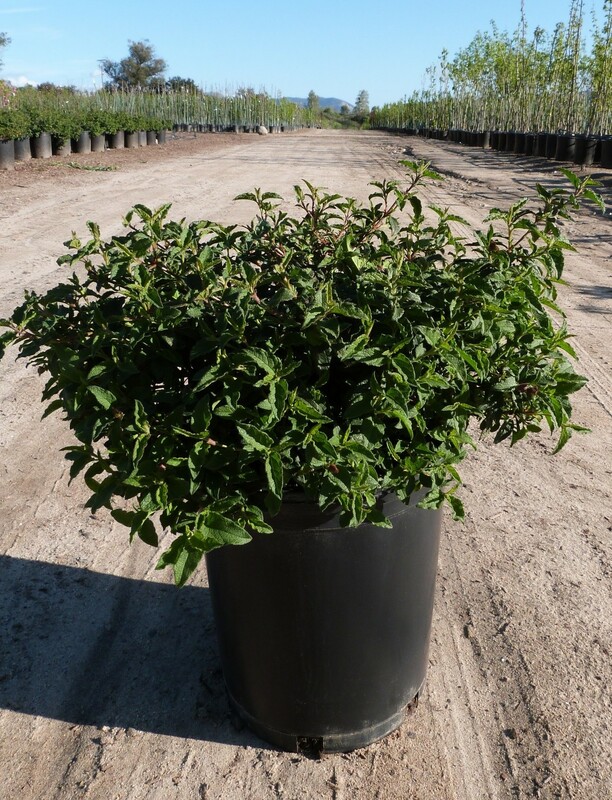 These hardy shrubs can tolerate temperatures down to 10F degrees and are very drought tolerant once established. Though white rockrose is evergreen, it may become deciduous in cooler zones. This specimen prefers sandy well-draining soil, but will tolerate some poor soil conditions. White rockrose also works well as a coastal plant, as it can tolerate salinity in both the soil and air. Avoid over pruning rockrose, as it does not respond well. Seasonally, you may want to remove old growth at the base where flowers are not producing to encourage more flower development.